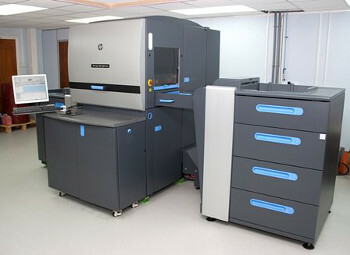 HP Indigo 5600 Digital Press. OVI purchased the HP Indigo 5600 to increase its range of photo applicationsUK based One Vision Imaging (OVI) has installed an HP Indigo 5600 Digital Press in order to maintain its competitive edge and increase its range of photo applications for new and existing customers. The professional photographic laboratory, based in Coventry, decided to opt for the HP Indigo 5600 because it believes the print quality is as impressive as silver halide. Another reason for the investment was also a natural progression for the company as it continues to adapt to meet changing market demands. One Vision Imaging will continue to offer services that use silver halide, but intends using the HP Indigo 5600 to expand its product portfolio to suit a wider variety of customer needs, such as shorter runs and environmental considerations. Since installing the new press this year, OVI has been planning the launch of additional products, such as business cards and other marketing collateral. The company also plans to expand its existing product range of photo albums and framed photos and hopes to offer in-house design services. In addition to using the HP press to deliver cost-effective short runs, OVI said it will also utilise the six-colour capabilities of its new HP Indigo 5600 to raise its customers’ photo prints to a higher quality standard on par with silver-halide technology. The HP Indigo 5600 has a seven-colour capability and includes special options such as the Thick Substrate Kit, Combined Multi-Shot and One-shot process (for synthetic and paper substrates), and White Ink, providing the flexibility for a variety of print applications. “The Thick Substrate Kit has allowed us to bring more services in house, as we can create photo album covers here. It also increases our application range as the choice of substrate has increased,” said Proctor. Capable of printing up to 90 full-colour A4 pages per minute (ppm) in Enhanced Productivity Mode (EPM) and up to 272 ppm monochrome, the HP Indigo 5600 Digital Press is designed for the special needs of commercial, digital print service providers (PSPs). Updated JFX200 will deliver increased productivity thanks to a larger bed size, with the ability to load additional media during print operation. Print On In A New League! Roland DG, Trade & Treat? The Great Mimaki £5k Print & Cut Giveaway! Mimaki Pulls Out Its Magic Wand! Four Hours To Install MTEX 3.2m Wide Printer! Mimaki Launches Media Certification Program.